We present an interview with Michele that was previously only available in a Dutch magazine. The interview was conducted shortly after Airwolf and Dallas but prior to Alien Nation. News of Michele’s current mini-series! Okavango : The Grey Ghost Episode 2 reviewed. Beverly Hills 90210 : The Time Has Come Today reviewed, together with a look at the episodes of Airwolf featuring Shannen Doherty (“Brenda”) and Jason Priestley (“Brendan”). 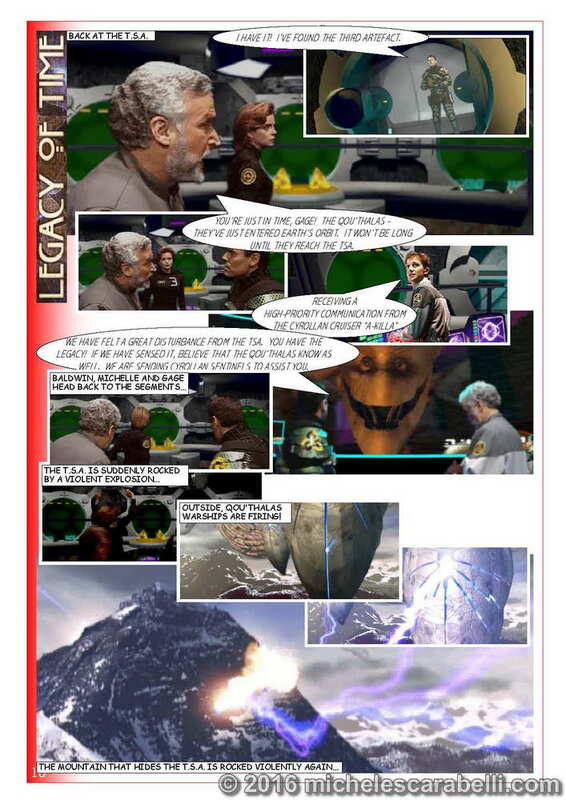 The Journeyman Project 3 : Legacy of Time reaches the end of the path to Enlightenment. With the final piece of the “Legacy”, you return home – but are you too late to stop the Q’ou’thalas? Early Michele Spotlight looks at Michele’s (non-speaking) role in the early film Suzanne starring Jennifer Dale and featuring a very young Michael Ironside.